It’s easy to see why animals like polar bears, giant pandas, or Siberian tigers are the subject of a lot of wildlife conservation campaigns. These charismatic ‘flagship species’ are chosen for their large size and iconic looks, serving as mascots to protect entire ecosystems. Most species at risk, though, are small, unassuming, and hidden in plain view. And they are crucially important to their habitats; pollinating flowers, spreading seeds, and playing a key role in the food chain. Without them, food webs would collapse and the effects would be felt from the smallest insects to the largest predators. The adorable burrowing owl spends most of its time hunting on the ground, equipped with long legs to see over the grassy plains. They live in underground burrows that they dig themselves or take over from prairie dogs and ground squirrels. Numbers are in decline due to habitat loss and fragmentation, making the burrowing owl one of the most endangered birds in Canada’s prairie grasslands. 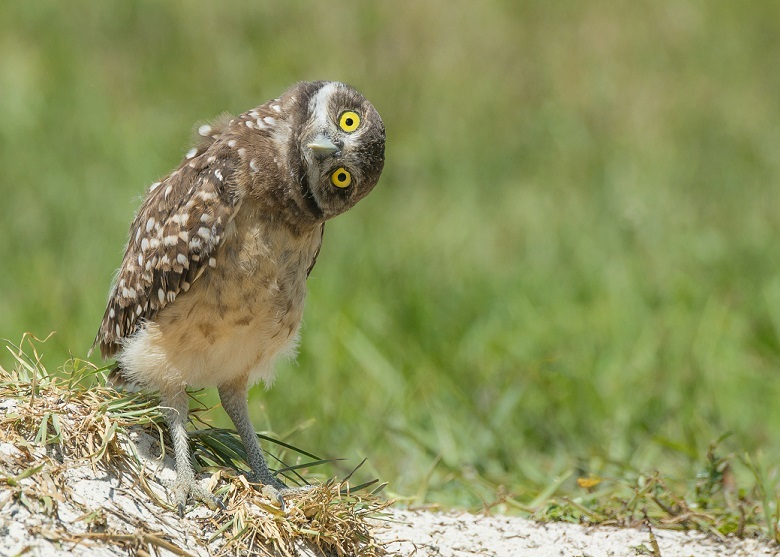 Operation Burrowing Owl, initiated in 1987, seeks to create and improve burrowing owl habitat in Saskatchewan with the cooperation of rural landowners and land managers. These volunteers participate in population monitoring by annually reporting burrowing owl numbers observed on their land, and also support habitat enhancement initiatives such as the conversion of cropland and other degraded areas to native pasture, and improvement of pasture health by using fencing and water development to manage livestock movement. The 2,200+ acre MacKenzie Ranch, located near Pakowki Lake in Southern Alberta, represents an intact grassland and riparian transition zone in a region otherwise dominated by cultivation. The property is currently used for grazing bison so has minimal disturbance from humans, and the family who owns it have taken special care to conserve the natural features of the land for the past 100 years. This critically important site is home to many species at risk, and contains suitable habitat for all of our “Stand Up For the Little Guy” species: loggerhead shrikes, burrowing owls, swift foxes, Ord’s kangaroo rats, and black-tailed prairie dogs. With the support of Earth Rangers and other supporting organizations, Nature Conservancy Canada has secured MackKenzie Ranch and created a Conservation Easement that will allow bison grazing to continue but prohibit the right to subdivide, cultivate, build on, or extract from the land. Securing this property is the first step in a long-term plan of ongoing stewardship, monitoring, public engagement, and enhancements to this beautiful and important site. The South of the Divide Conservation Action Program (SODCAP) is setting out to protect loggerhead shrikes, burrowing owls, swift foxes, and other species at risk found in the Cypress Hills Interprovincial Park in Saskatchewan. This 6,880-acre park is comprised of mostly native grassland, but has been contaminated with the invasive leafy spurge resulting in diminished habitat and forage quality. 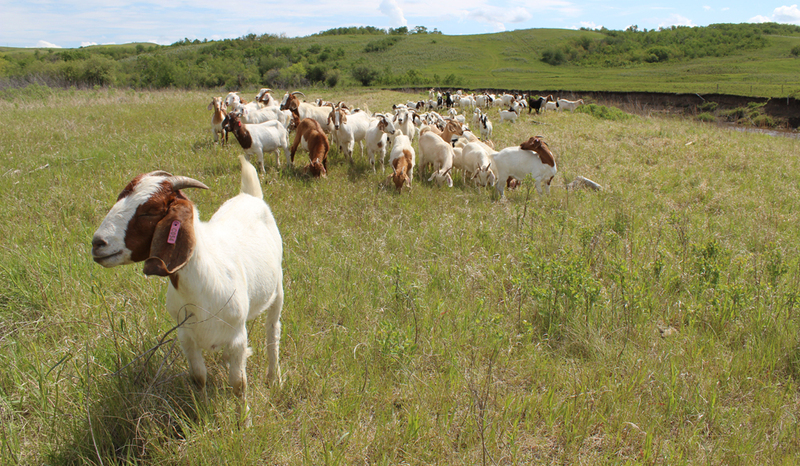 It’s anticipated that these measures will result in a dramatic reduction of leafy spurge and improved quality of habitat for all species on the land. 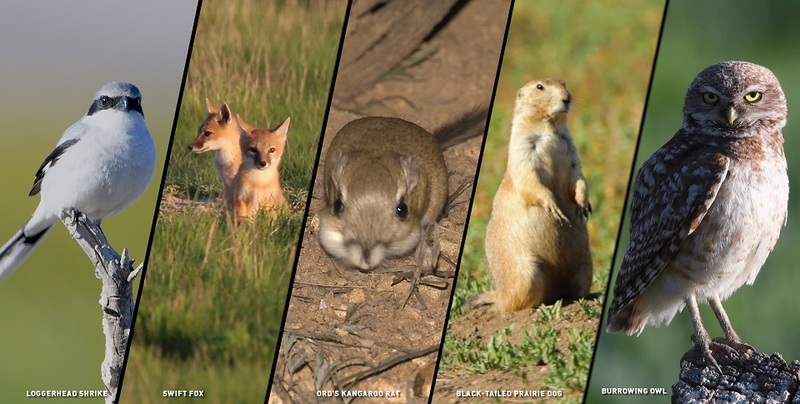 You can get your family involved in supporting this work and protecting Canada’s small prairie creatures by Standing Up for the Little Guy!